This is a work in progress. Corrections and additions are invited. John Thomas Scott born October 29, 1857 was the eldest of the children of John Thomas Scott and his wife Martha Jacobs. During the initial years of his life he lived in a home where his parents co-resided with their siblings William Scott and Mary Jacobs who were also married ( two brothers married two sisters). During these early years, John's father was a carpenter/joiner while his uncle, William, was a warder in the prison system. John's father would a few years later also become a warder. 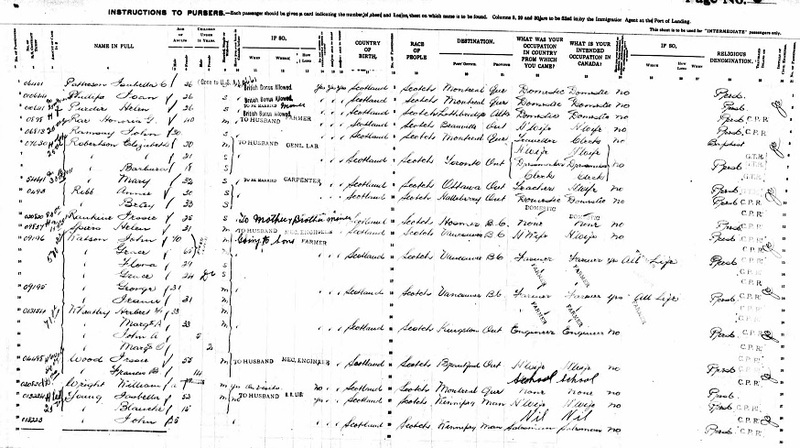 In both of these census years, we find John Thomas living with his paternal grandparents William Scott and Mary Hyder and the census entries can be seen on the biography we have written on their lives. Actually by the time of the 1871 census Mary is a widow supporting herself as a 'mangling woman'. In the household is daughter Eliza who has no designated role, yet is not marked as being deaf and dumb, blind, an imbecile or idiot nor a lunatic. (Eliza never worked as near as we can determine and obviously had some defects which caused the family to support her throughout her life). John appears as a 13 year scholar so was still in school in 1871. We do not know if John, who was one of many children, was 'farmed out' to his grandparents for upbringing or if it just happened that on these two occasions he was visiting with them. I believe he was the oldest of their many grandchildren and as such perhaps had a stronger bond with them. 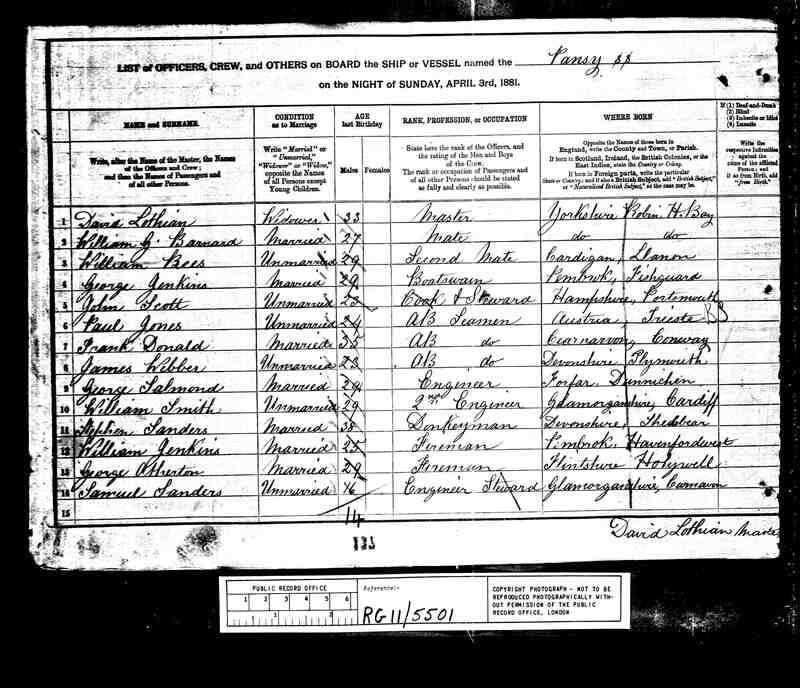 By 1881 the census entry shows John as a single sailor in the merchant marine employed as a cook and steward on the SS Pansy which at that time was docked at Mostyn, near Holywell on the north coast of Wales. In going to sea, John was following the initial trade of his grandfather William Scott (who eventually became a prison warder) and of his uncle William Scott (who also eventually became a warder). It would appear that the Pansy spent some time in Mostyn, Wales and that, as a result of this, John came to know Sarah Thomas, of nearby Holywell, whom he married, a few months after the census, on 14 September 1881. At that time he was 23 years old and she was four years younger at 19 years. From her granddaughter, Jean Reed, we learn that "Sarah was born in Fynnongroew just up the road from Mostyn. All that area is Holywell district." 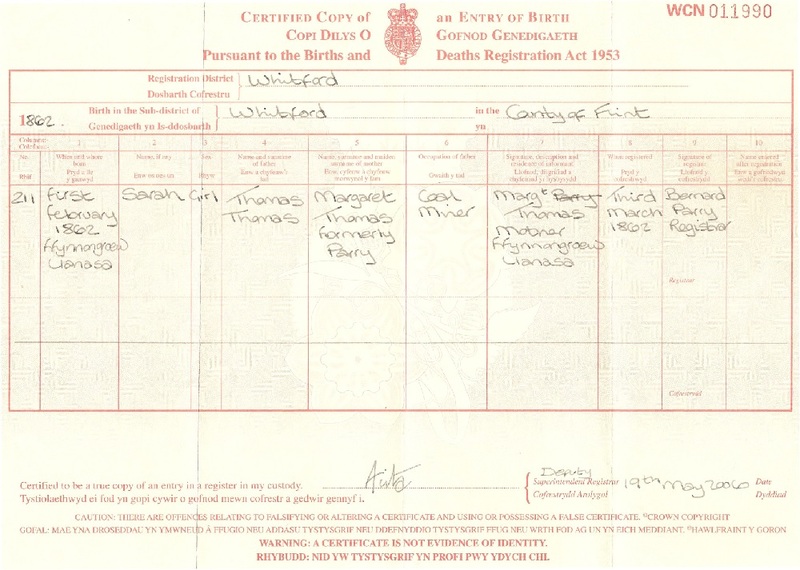 The birth registration shows that Sarah's parents were Margaret Thomas and Thomas Thomas. Margaret's maiden name was Parry. Sarah appears with her family in the 1871 census living at Whitford, Flinshire, Wales, just a short distance from her birthplace. John Thomas Scott married Sarah Thomas at Holywell, Flintshire on 14 September 1881 [source: Granddaughter Jean Scott Reed, FreeBMD]. John and Sarah raised a family that gradually grew to include eight children born between 1881 and 1899, a period of 18 years. During that period, at least from 1891 through 1911 John is reported as being a house painter. 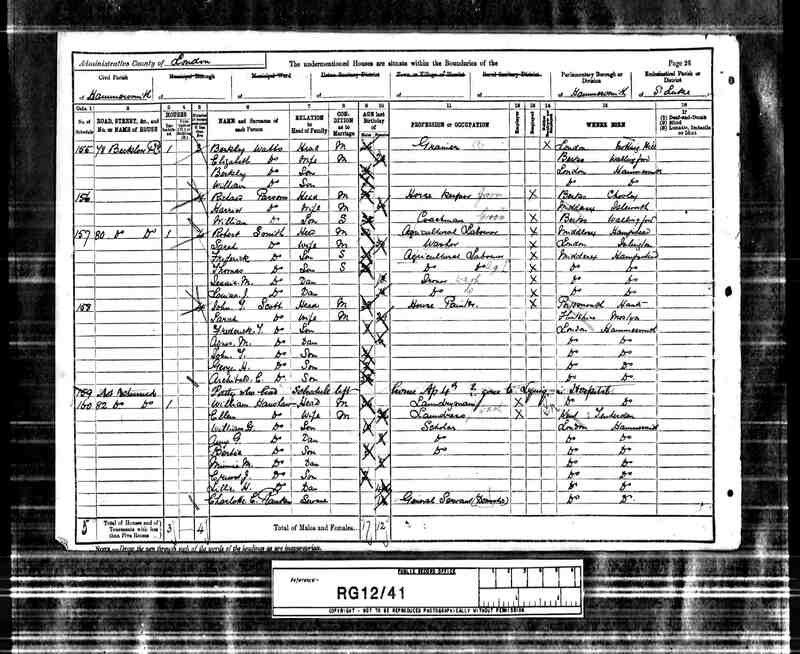 By the 1891 census they are living in Hammersmith in London, and by the birth records of their children it would appear that they lived there until about 1891, moving sometime after the census to Fareham. By the time of the move to Fareham, John's father had retired from the prison service and was a hotel proprietor in Titchfield near Fareham. Some of John's younger siblings worked in the hotel with their father. 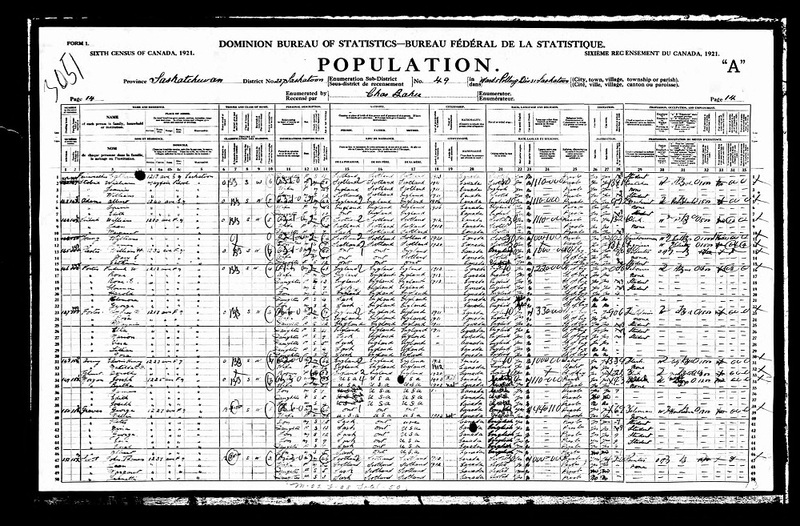 From the census records, John and Sarah had eight children. The following table lists these children with some information on what became of them. The information in this table is compiled from census data, the FreeBMD database and family knowledge provided by Jean Reed. At present we have little information on Sarah in later life. At some point she moved from the home at 51 Paxton St. to a home in Porchester that was apparently purchased for her by two of her sons. She lived there until her death just after her 98th birthday on or about 9 February 1960. She is buried in the non-conformist section of the Roman Grove Cemetery in Porchester, row 5, 3rd on the left between A. Lovelett and E.J.Campbell. Her daughter Sally was buried in the same grave after her death in 1988. It is believed the grave is unmarked. There seems to be no record of a will or of an obituary. 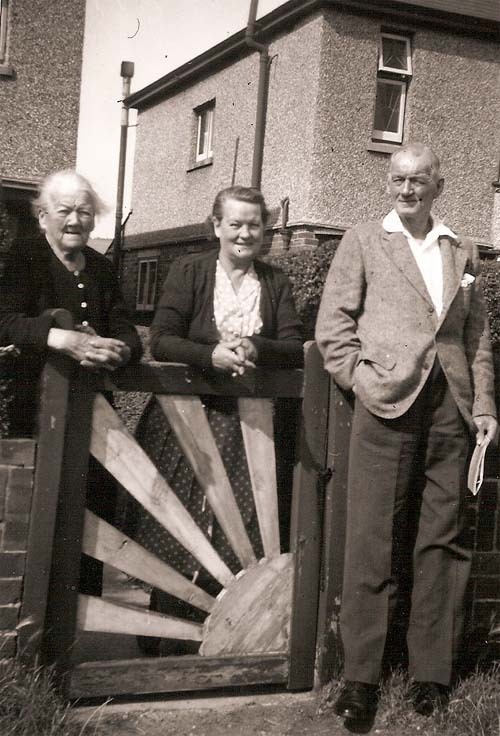 "Grandma Scott never forgot her native tongue and, according to Aunt Sally, was singing hymns in Welsh at the top of her voice the night before she died at the age of 98!" at the gate to her home at 117 West Street, Porchester, Fareham, Hants. At some point in the period 1910 to 1915 the marriage of John and Sarah effectively came to an end, although there was no divorce (at that time in England divorces were a lengthy, expensive undertaking requiring, ultimately passage in the House of Lords). From the surviving family members in England the story is that John went out to Canada and was never heard from again. Piecing together what exactly happened requires a certain amount of sleuthing based on various documents such as census records, travel records, and death records as well as the military records of his sons. This research is not necessarily complete and hopefully we will be able to add to it in time. In one account he was supposed to send for his wife and children after settling in Canada. That did not happen and for all intents and purposes, with respect to the family in Canada, he just 'disappeared' as reported by his granddaughter. By this time of this separation/departure, the youngest child, the son Edmund, was in his mid-teens and would likely have been working. In Canada, during the first decades of the 20th century there was explosive population growth as a result of pioneering push by the Canadian government to populate the prairie provinces. The provinces of Saskatchewan and Alberta were formed in 1905 and free land was offered to those who would take up homesteads and cultivate the vast and sometimes very arable prairie land. As a result of this expansion in population, in addition to the census of 1911 and 1921 there was one in 1916. These have allowed us to gradually put together the information on John's life in Canada. 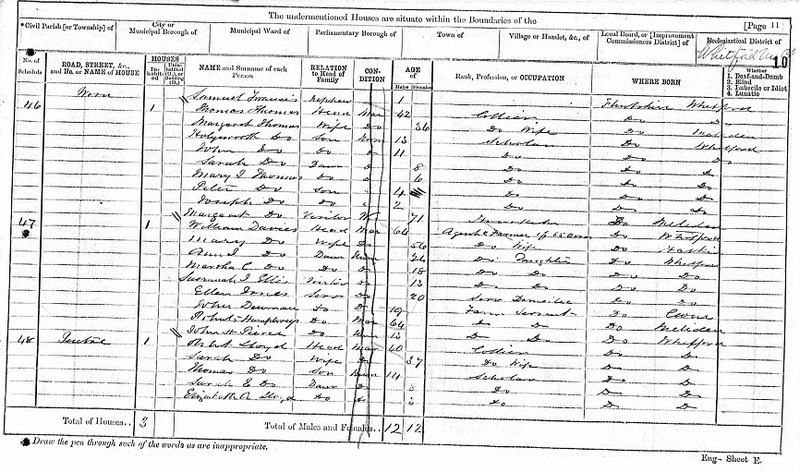 From the 1911 census of England above we see that John was in Fareham at the 51 Paxton Street home with Sarah and three of the children, Archibald, Ellen (known as Sally) and Edmund. 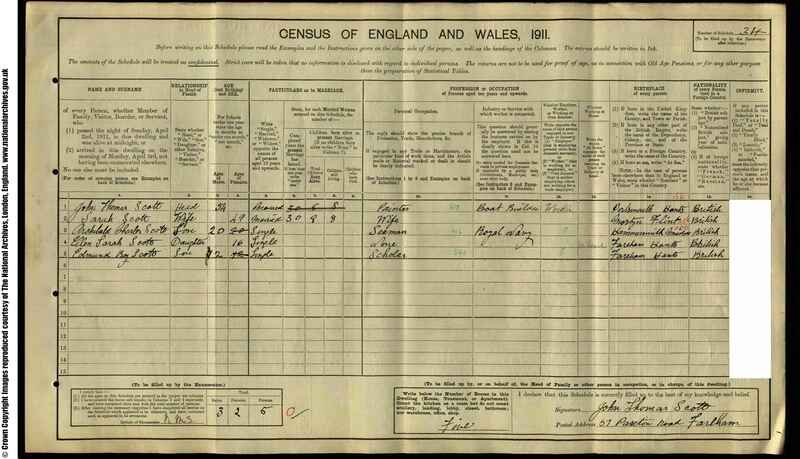 This census was taken on the 2nd of April that year. 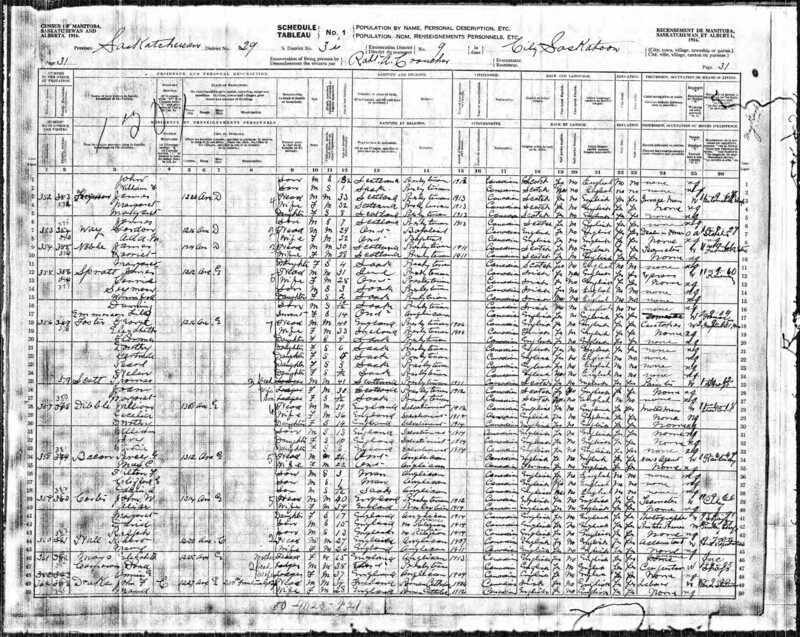 The census was filled out and signed by John and so we can be sure he was there at that time. In the fall of 1911, George Henry Scott, the fourth of the children of John and Sarah left England as an emigrant to Canada. He located near the Alberta/Saskatchewan border and took out a homestead near the town of Loverna, a booming rail center at that time, in January of 1912. There is some unclear memory in the family that "[John] DID go off to Canada, come back and then return to Canada." There is also some speculation that John went to Canada before his son George and that his reports from Canada might have encouraged George to desert the Royal Navy and go to Canada to start a new life. Another family factor influencing these moves might be that John's first cousin once removed, Frank Scott, had emigrated to Canada in 1909. 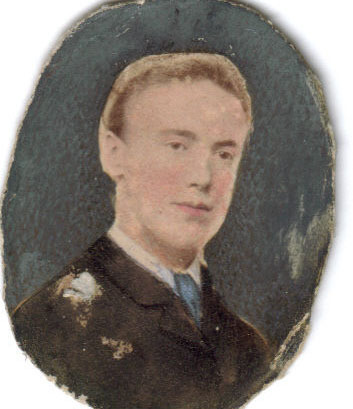 They lived only a few miles apart when in London and Frank's communications with his father (Walter born 1860) might easily have been passed on to his father's first cousin John who was about the same age.Alternatively here would at least have been communication between George Henry and his parents and it appears that John was sufficiently intrigued by this to go to Canada to visit his son. There are good records still extant, and increasingly available through Ancestry.com, of the ships passenger lists at that time, between Canada and the U.K. They come in two versions, one as the person leaves one country and the other as the person enters the other country and it is possible to compare the two for any given voyage. Unfortunately, "John Scott" is a fairly common name and the search, so far, has only identified on such trip by John. John took the Cunard S.S. Ausonia from Southampton on 3 August 1912, arriving at Montreal on 13 August destined for Alsask on the Alberta/Saskatchewan border, about 20 km from the homestead George Henry and close to the town of Livorna which had developed into a major maintenance hub for the Canadian Pacific Railway. The entry document in Canada not only indicates the destination which is where his son George Henry was at that time, but also indicates that his trade in England was painter and that he had $40 in cash with him and he states that he is 50 years old (giving a birth year of 1862, rather than the 1857 that we know of -- as we shall see later John was not very precise about his age). While it is possible that another John Scott is represented in this arrival, the overlap of facts is sufficient to cause me (and others) to believe this is our John Thomas Scott. George was killed on 22 April 1915 at the second battle of Ypres. His father, John was the benefactor of his estate, which consisted of some land in Saskatchewan. The contact location for John, in the records at this time, was in Fareham, so the notices of his missing-in-action an death were sent to that address, at least, initially. 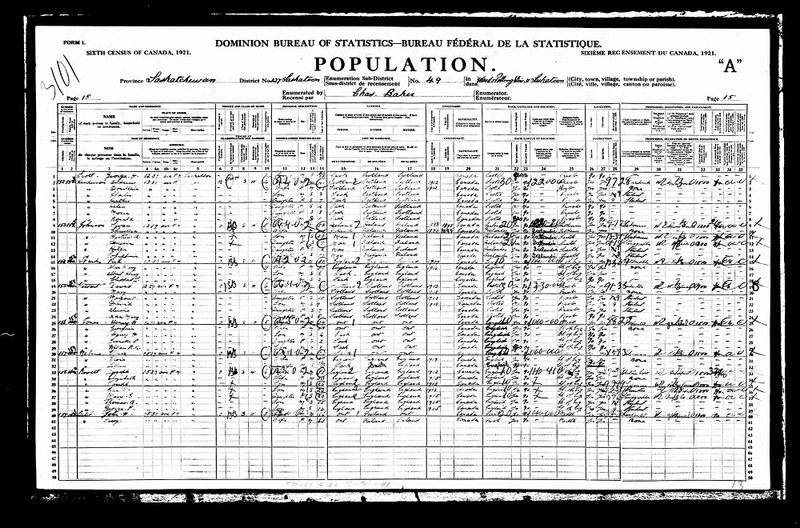 But, by 1916 John appears in the census of Canada as being in Saskatoon. Again, as yet, we have no record of such a crossing. John went to Canada in August 1912, after his son, George, had gone there in the fall of 1911. We also know that John took possession of the property owned by George and when we can track these documents some blanks may be filled in. It will take more research to fill out the missing threads in this story. As we do so, there is a lot of 'back and forth' as we try to make sense of seemingly contradictory information. Let us proceed now to 1916 and the census of Canada that was done at that time. Can this be our John Thomas Scott? It would seem not. For this Thomas Scott, though being a painter, is only 41 years old, is a Presbyterian from Scotland and has a wife, Joan, also from Scotland and a daughter, Margaret who is three months old. There is no address given within the city in this census of Saskatoon. Here we see a John T. Scott, painter, living at 1215 Ave F North. The entry has the annotation 'h' after his occupation which indicates that he is occupying the whole dwelling (in earlier directory listings he is taking rooms within a building). 1215 F Avenue North as it appears in 2017. It would have been much the same at the time John lived there. (photo courtesy Gwen Will) The School kitty-corner away from the location at 1237 F Avenue North. Perhaps the eldest daughter Margaret was attending there when her father died. The only information we so far have on John during the period 1916 -1921 is the listings in the Henderson Directories which show him in various places and ultimately at 1237 Avenue F North, the location indicated on the medals record. This indicates that the Henderson records for this time period are for our John. However we cannot necessarily tie these Henderson records to the 1916 census record. Then we get the 1921 census. 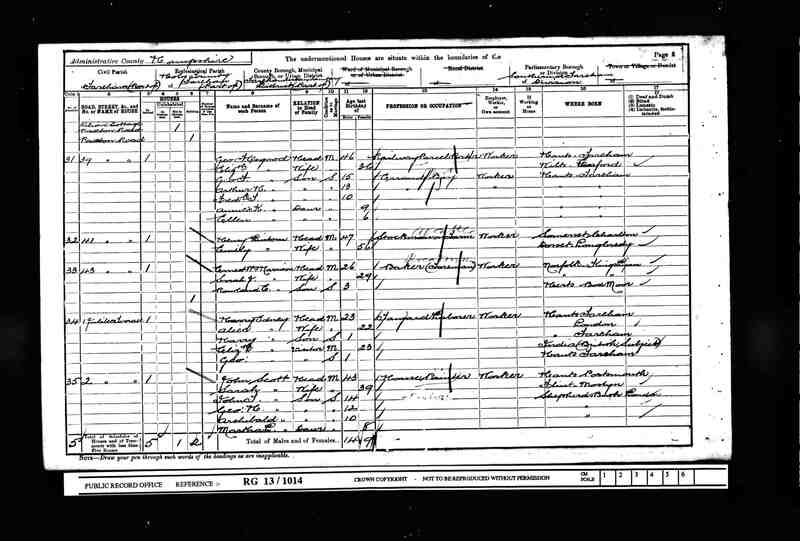 Here we find John Thomas Scott appearing in the census at the 1237 Ave. F North location with wife Joan and three children, Margaret, Jeanette and George Henry. 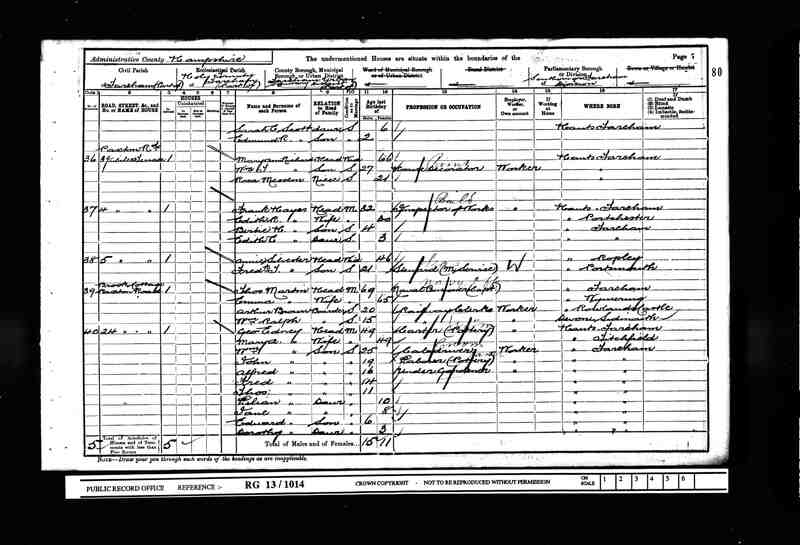 This is clearly the same family as the "Thomas Scott" the 1916 census,with a wife, Joan, and a child, Margaret, with the addition of two new children. The data on John in these two census returns is incorrect in a number of ways. Census returns take the information from the respondent and there is no guaranteed proof of accuracy. In John's case the truth is really stretched. Firstly he consistently indicates that his year of birth is about 1876, eighteen or nineteen years after his actual birth in 1857 -- it is interesting that he could succeed in this deception, so he must have been in pretty good shape. He indicates that he has come to Canada in 1911 (1916 return) or 1910 (1921 return), either of which dates could support an earlier trip than the 1912 sailing we have found, shown above. He states consistently that he is from Scotland and of Scotch ethnicity, but is highly unlikely that he had a Scots accent. Additionally he states he is Presbyterian. In fact he had been born in England and raised in the Church of England. It is worth reviewing the annotations on the medals card shown above, in light of these conclusions. The "P&S" represents "Plaque and Scroll". The indication is these were forwarded to John. More interesting is the disposition of the Memorial Cross, a medal which was issued to the wives or mothers of those who were killed in the Canadian Forces. We see that John has advised the authorities that the mother has died (as we saw above, Sarah lived until 1960!) and so the Memorial Cross is forwarded to him. It is clear that by this date he has 'erased' the family in England from his life and does not want Sarah tracing him through the Canadian defense department. The separation from his wife Sarah (and his presumed bigamy -- divorce was not easy in those days) was clearly not amicable, in his keeping even this token of their life together, from her. With John Thomas disappearing from the Henderson directories after the 1922 edition, it was natural to look for some evidence of his death. Although he was presenting himself as being 46 years of age in 1921 we know that he was actually by that time 64 years old. This, then, is a record of John's passing. He died in hospital on 16 February 1922 and was buried two days later. 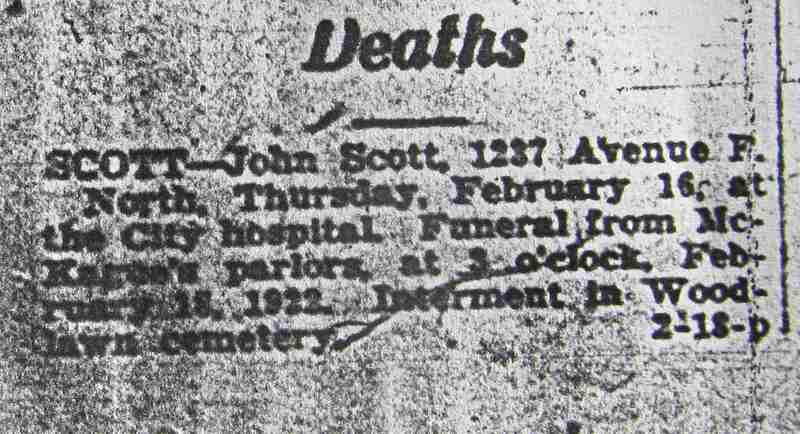 We learn that this notice is, indeed, of our John Thomas Scott who lived at 1237 Avenue F North. The death registration for John provides a number of interesting pieces of information. Of his death we learn it may have been fairly quick. The M.D. who certified the cause of death indicates he attended John from 12 through 16 February for a prostrate obstruction. The obituary indicates that he died in hospital, and the death certificate indicates he was there for 1 day only. The personal information on the form has been provided by C.F. Sandwith of 1308 Avenue H North. The Henderson Registry of that year indicates that this is Frederick Sandwith, a carpenter, which would be a normal occupation for a friend of a painter. They likely worked together. 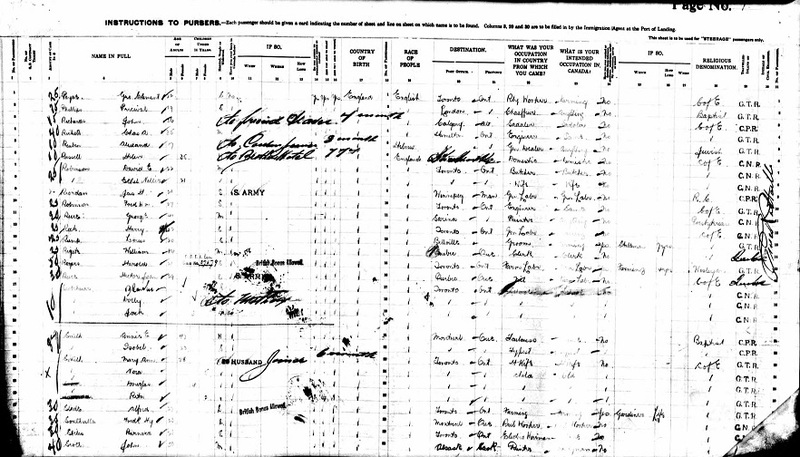 The personal information indicates that John is the son of John Scott, mother unknown to the informant, born in Scotland and of Scotch ethnicity -- information consistent with the census data but not close to the actual facts other than the name of the father who was also John Thomas Scott. It states John was a painter from boyhood until his death -- his time at sea not being known to the informant. He is said to have been born on 24 March 1874 and so of age 47, again consistent with the census data, but one wonders on the significance of the 24 March day. 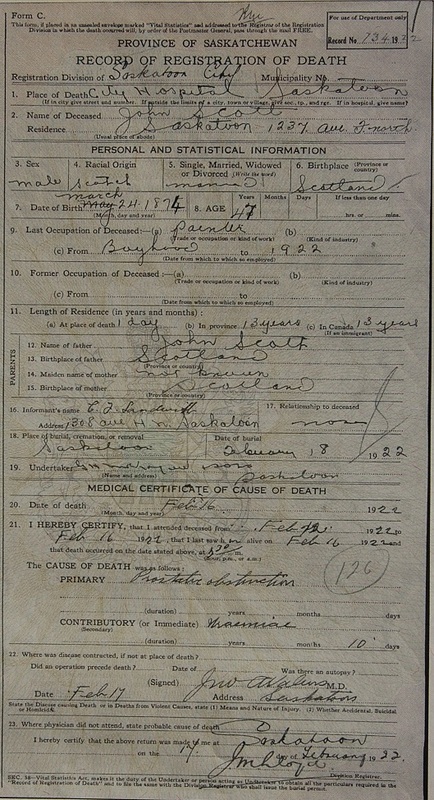 The document further states that John has been living in Saskatchewan for 13 years which would indicate an arrival in 1909, an earlier date than we have previously seen for him in Canada and further indication that he might have been in Canada before his son George Henry born in 1888. Normally a widow or child will provide the information for a death registration. However, Joan was left with three small children and probably no means of support. With that burden it was quite natural for a close friend to take care of these formalities. From inquiries to the cemetery we learn that Fred also handled the dealings with them regarding the burial. The research that discovered the information surrounding John's death was done in January and February 2015 at which time it was not possible to see if there was a small marker at the grave, although the limited finances of the family led us to believe that probably there was not. 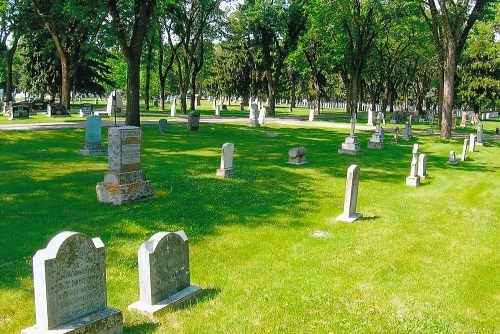 More recently a fellow genealogist, Gwen Will, in Saskatoon, was kind enough to visit the cemetery in the summer and take photographs of the grave site. As surmised, there was no grave marker. 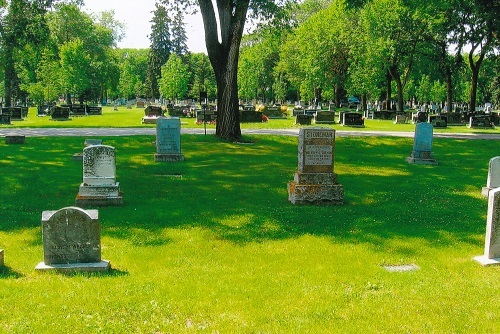 The row in the front contains John's grave. In the space between the grave marker on the left and the plaque on the ground to the right there are two graves. One of these is John's. With John's death in 1922, we turn to the questions related to the surviving family and their future. In doing this it appropriate to consider the relationship between John and Joan. Clearly there was much in John's background that he never revealed to Joan. At some time she must have become aware of the existence of George Henry Scott who was killed in WWI. The correspondence from the government would probably have indicated that John was the father, but it is possible that he passed himself off as an older brother or uncle. Otherwise he was the father of a person born in 1888 and yet was supposedly born about 1875, but, of course, George Henry might have been presented as someone much younger. If John was the acknowledged father of George Henry it also raised the questions of the mother of George Henry (Sarah) and what had happened to her. The medals document provides an answer -- she was dead according to John's correspondence with the government. Whatever the explanation for George Henry born 1888 (and, of course, an explanation was necessary since the medals came to John), it was acceptable enough that when a son was born in 1921 he, too, was named George Henry Scott. We can wonder, too, who Joan was. What was her maiden name? We learn from the census that she is from Scotland, of Scotch ethnicity and that she came to Canada in 1912, but that does not give us a maiden name. 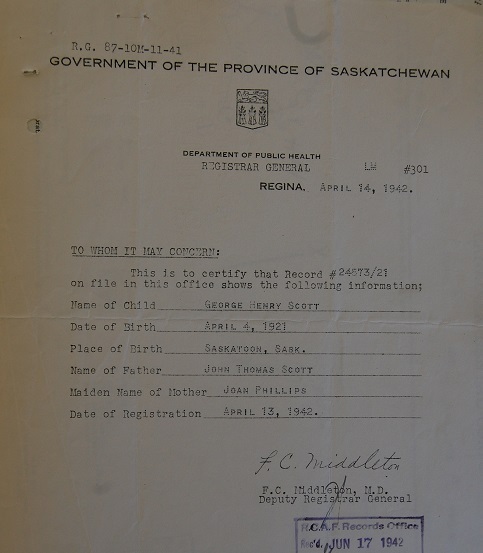 Birth records in Saskatchewan are kept sealed for 100 years so it will be another year before we can even get a copy of Margaret's birth registration. To obtain a copy of a marriage registration in Saskatchewan seems to be somewhat more difficult as the request perhaps needs to come from a descendent. These are sealed only for 75 years. However we do not know when (or, indeed, even if) John and Joan were married. This document is interesting in three ways. 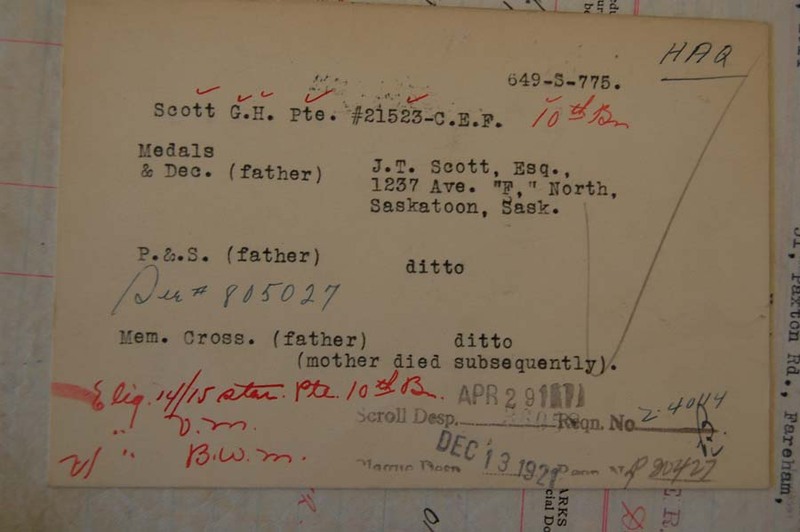 Firstly we learn that this George Henry Scott is, indeed, the one born a couple of months before the 1921 census, in Saskatoon, to John and Joan Scott. Secondly we learn Joan's maiden name is Phillips. Thirdly we learn that the birth has not been registered until April 13 of 1942, just a couple of months before George joins the R.C.A.F. on June 9, 1942. Probably it was only registered because he needed a birth certificate to join the forces! Such procedures were not very advanced in Saskatchewan in 1921 only 16 years after the province was formed and birth certificates were not the important documents that they now are until late in the 20th century (I only got a copy of mine when I joined the R.C.A.F. in 1959 at the age of sixteen). It may turn out that there are no birth certificates for Margaret and Jeanette. on 9 June 1942 his younger sister is unmarried but is married as Mrs. J. Connell by the time of his death in 1944. George was unaware of any half siblings at the time of joining the RCAF. From this we can start to piece together the tale of the family. It appears that Joan left Saskatoon immediately after (or perhaps just before) John's death to go to her sister's in Montreal. Once there it was decided that Barbara would raise George Henry. We do not know how the two girls were raised; being a bit older perhaps Joan raised them. While George's file gives information on his schooling, interests and work history prior to joining the RCAF, we learn little of his mother or sisters from the file, other than the fact that all are living in the same general area of Montreal during the war years. It appears that this is the Philips family of interest (note the variation in the surname spelling). We also need to decide that 'Johannah' is our 'Joan'. Being 15 in 1901 can she be 27 in 1912 when she goes to Canada -- yes, possibly. There is a sister Barbara. It is interesting that the mother is Margaret (the name of Joan's first daughter) and that the oldest sister is 'Janet' (Joan's oldest daughter is 'Jeanette'). It appears that Joan traveled to Canada on the S.S. Grampian arriving in Montreal on 21 October 1911. We see that her destination is Montreal. This landing record matches with the information that we get from the 1916 and 1921 census returns regarding the date of arrival in Canada. Beyond the arrival record we have little information on Joan, other than the addresses in George Henry's military file and the fact that George was evidently closer to Barbara, although Joan was listed as his next of kin. At the same time all indications are that Joan and Barbara were close during their lives in Montreal. Recently, through Ancestry.com I have had email communication with Lizzie (Elizabeth Anne Hardy) who indicates that her stepfather is a descendent of the above noted Margaret Philips and that "My step father has just confirmed that Joan did indeed go off to Canada, but he didn't know her nor did he or his father have communications with her." to find additional evidence of the voyages of John Thomas Scott. FreeBMD.org for various marriage, birth and death record information. Maureen Anderson of Saskatoon, an avid genealogist, who poked around in the snow in Saskatoon in late January, 2015 and who has contributed much to this record, including arrival records in Canada of John Scott, and the obituary notice in the Saskatoon newspaper. Archives Canada for access to the Henderson Directories and to Maureen who led me to an on-line source for same. Gwen Will of Saskatoon who was kind enough to visit the grave site of John Thomas Scott and also the residences we uncovered. Gwen provided the photographs of these places which appear above.